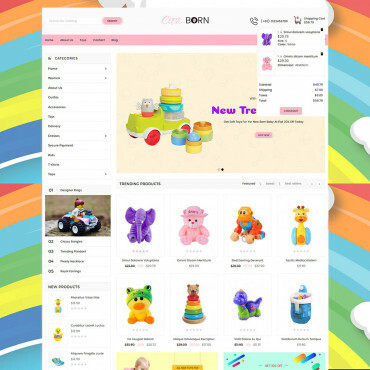 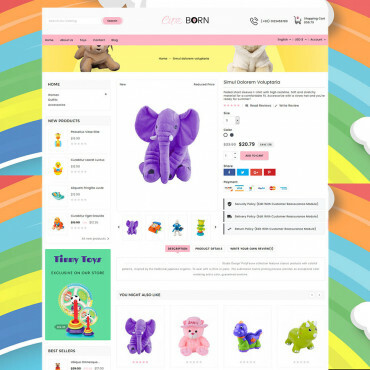 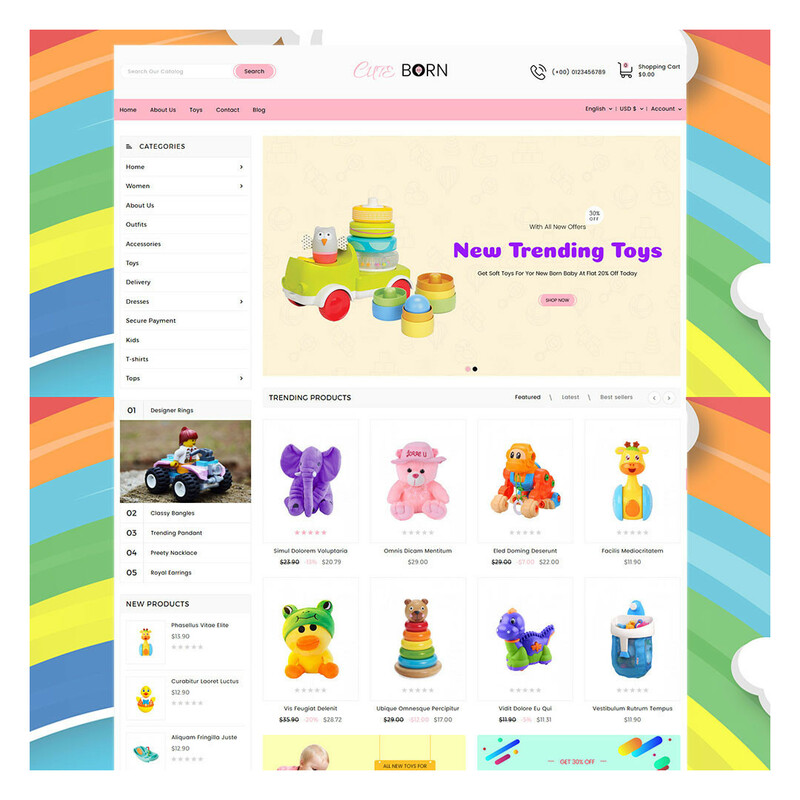 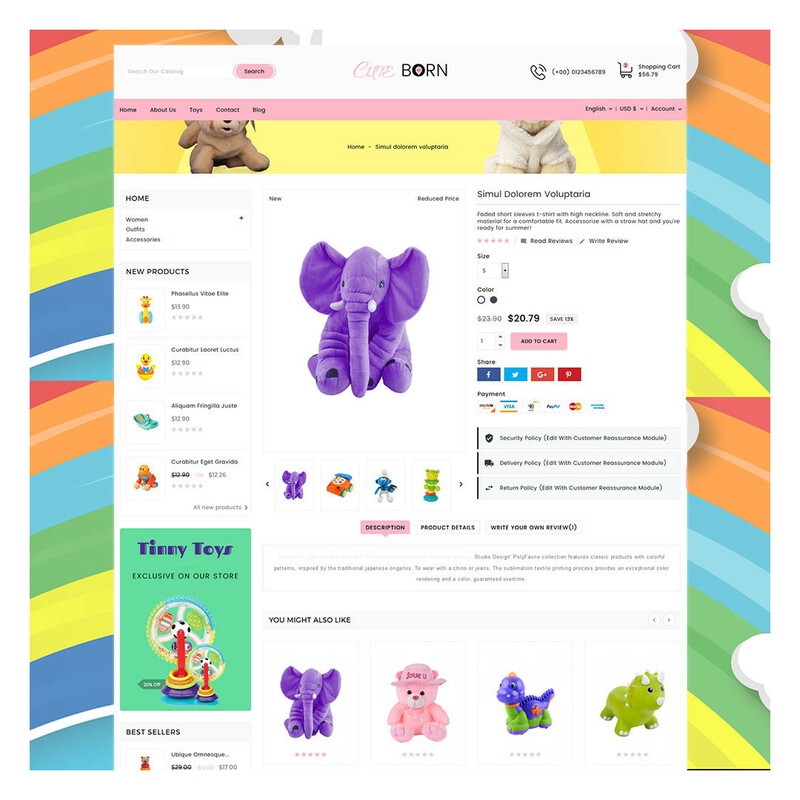 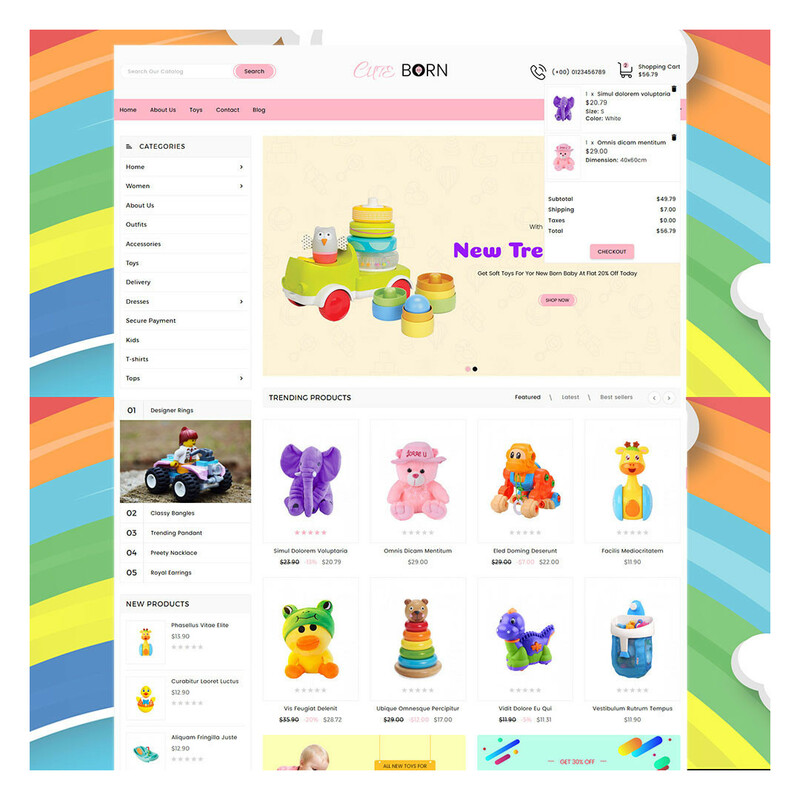 Cuteborn is a flexible and attractive Kids & Toys Prestashop theme. The theme includes powerful modules and innovative design with many features and logical layout that would easily fit onto your new or existing online store. 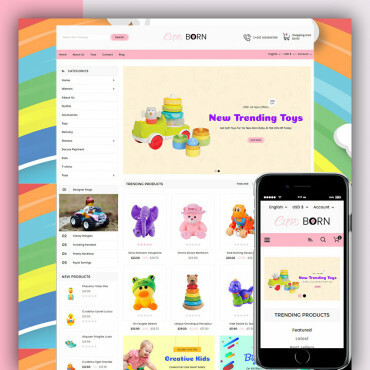 Cuteborn is fully responsive with cross-browser compatibility and friendliness with Mobile devices. 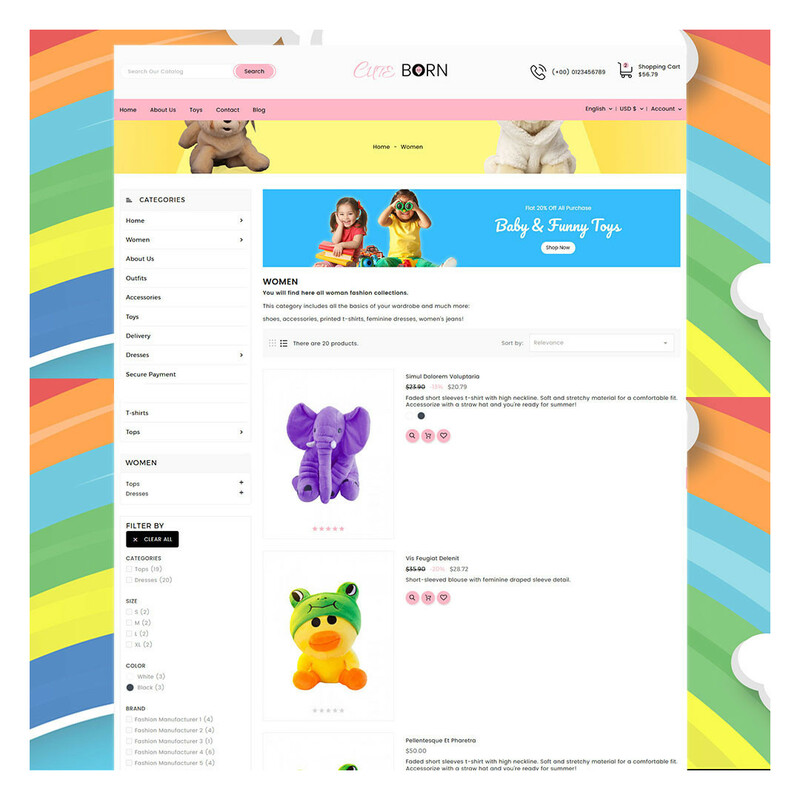 The Theme is suitable for Kids & Toys, Watch, Travel, Accessories, Suits, Jewelry, Bags and other multipurpose purpose stores.